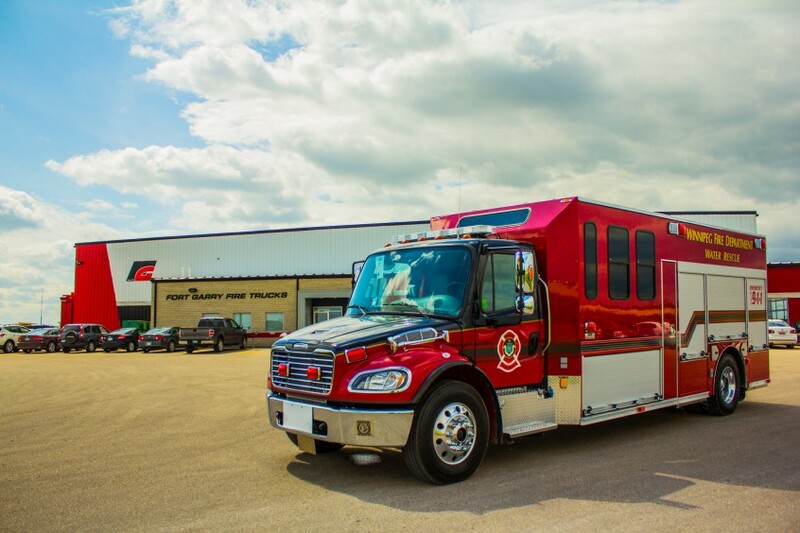 We are proud to officially announce a new form of specialty response vehicles built specifically to fill the needs of the Winnipeg Fire Department. 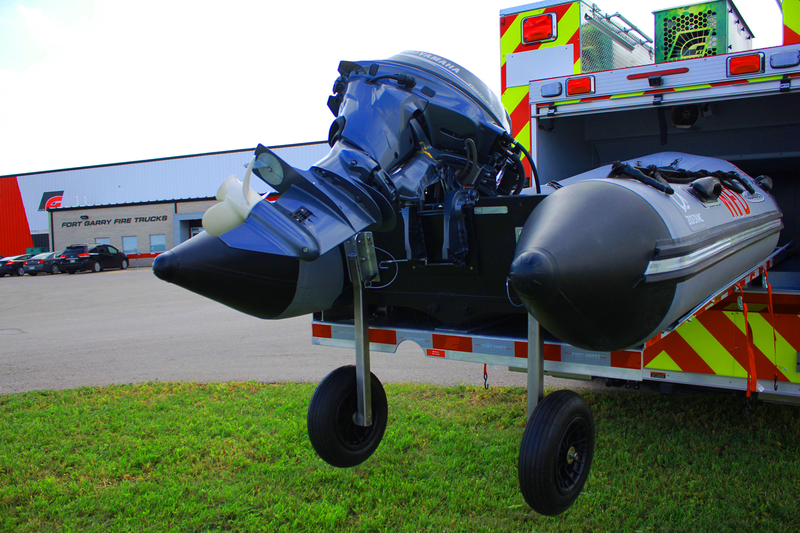 The Water Rescue units are custom designed to respond to water related crises. They are equipped with their own motorized flotation devices which can be launched right off the back of the vehicle via a remote controlled electronic extending ramp. 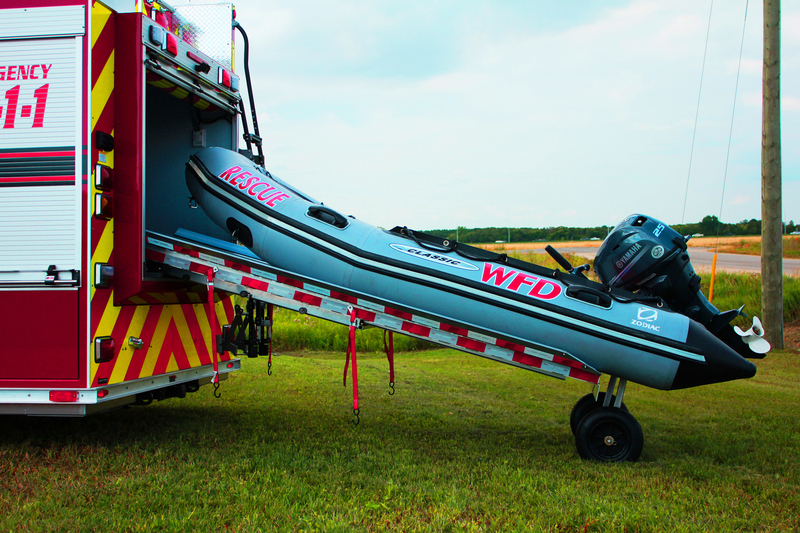 We designed it this way to make water related responses extremely quick and efficient, which is absolutely crucial during a critical situation. 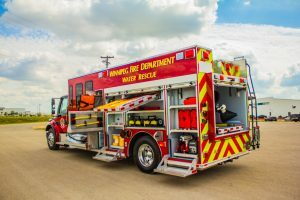 The Winnipeg Fire Department has understood the importance of this apparatus and took the liberty of investing in 2 units in total. Both units are identical both in function and design. 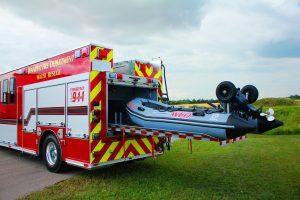 Heated side compartments – With a specialized heating system, we route warm air through all of the side compartments on the truck, to ensure that even in extremely cold weather conditions the parts and equipment carried in the vehicle will not be effected. FGFT trucks are Engineered for the Extreme. 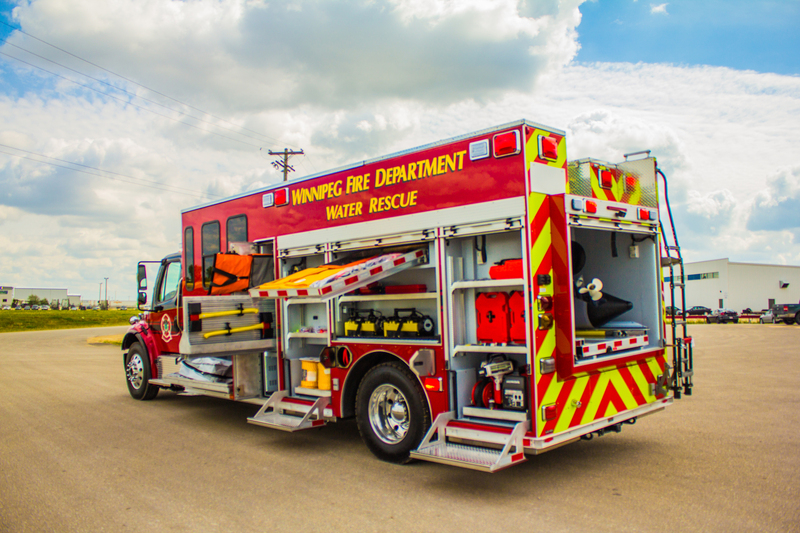 Green HLP APU – The Winnipeg Water Rescue trucks will be the first trucks manufactured with our new Green HLP Auxiliary Power Unit installed, a brand new power unit that both conserves energy and outputs a competitive amount of power. Stay tuned, as we will be presenting more information shortly.